Dr.UGraft in Malaga: Dr. Sanusi Umar, the founder of the Dr.UGraft™ Revolution, presents his findings on afro-textured hair transplant procedures. Dr.UGraft Hair Transplant Spain Debut : The Dr.UGraft team attended the 2018 FUE Europe workshop in Malaga, Europe. Dr. Sanusi Umar, the creator of the Dr.UGraft Revolution, participated in several panels with fellow pioneers in hair surgery. 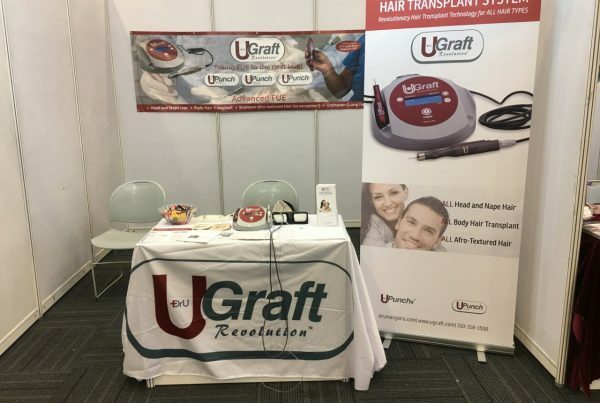 Dr.UGraft™ technology caused a sensation in solo lectures on topics such as stubborn afro-textured hair, smart rotary punches, and non-rotary ultrasonic FUE. Dr. U debuted never-before-seen technology for hair transplant using ultrasonic frequencies in his lecture on afro-textured hair challenges in FUE surgery. This sensational debut hinted at what lies Dr.UGraft’s future, as Dr. U is working to make this technology available to all hair transplant doctors. At the moment, only the manual version Dr.UPunch Curl™ is available for purchase. A comparative study published in Plastic and Reconstructive Surgery showed the effectiveness of this manual punch in 18 patients, establishing the superiority of non-rotary tools for more control. While the manual Dr.UPunch Curl™ is capable of delivering reliable results, Dr. Umar is dedicated to advancing hair transplant technology for all patients, thus the ultrasonic version of the non-rotary curled punch. See the image below for an example of the plunging motion with which the manual Dr.UPunch Curl™ is used. The Dr.UPunch Curl™ is attached to a non-rotary device, the Dr.UPunch Curl Plunger, which is used with a plunging motion. 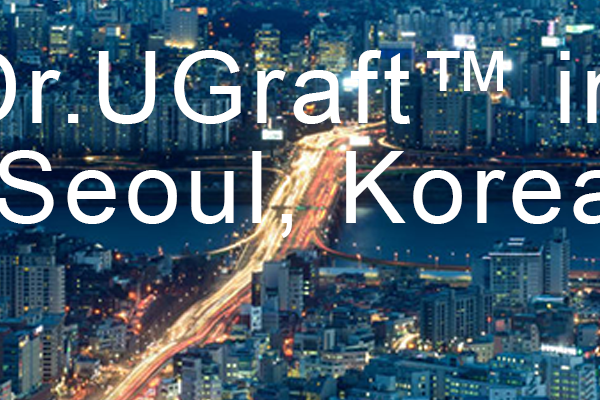 Fluid integration with the Dr.UGraft™ console enables continuous graft hydration, as well as hands-free graft ejection. Watch the video below to see the Ultrasonic Dr.UPunch Curl™ in action. Innovating on the original manual Dr.UPunch Curl™, this advanced extraction of tool harnesses the power of ultrasonic frequencies to assist in the scoring process. While the Dr.UGraft™ sonic hair transplant system is not yet available to the public, Dr.UGraft™ does offer the manual Dr.UPunch Curl™ to all hair transplant doctors. See our product gallery for more details. Opportunity to display case studies on Dr.UGraft Patient Cases. Exclusive access to DIY uGraft Hair Transplant Estimator application. Interested hair transplant providers, as well as physicians looking for experience in hair transplant, are encouraged to register for the 2018 Los Angeles Hair Transplant Training Workshop. Formerly known as Advanced FUE Los Angeles (AFLA), this workshop will focus on combining the newest advancements in hair restoration with more practical applications. 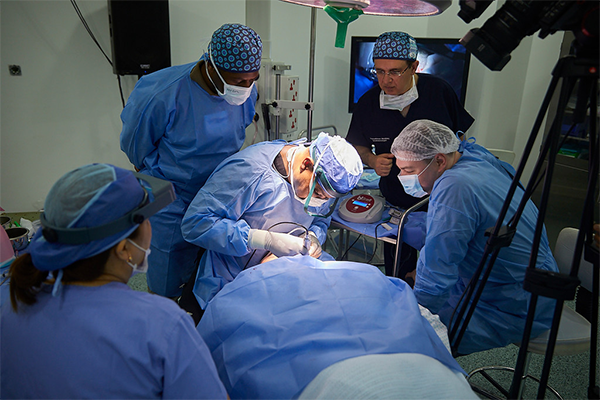 Due to popular demand, this three-day workshop also features hands-on training with cadavers. To learn more about this workshop, sign up for our newsletter. Learn how Dr.UGraft provides advantages in afro-textured FUE. Read about Dr.UGraft’s international debut in Dubai.